“My name is Forrest Gump; people call me Forrest Gump”. With this line – ad-libbed by Tom Hanks during the filming – a folk hero was born, and with him a commercial juggernaut. 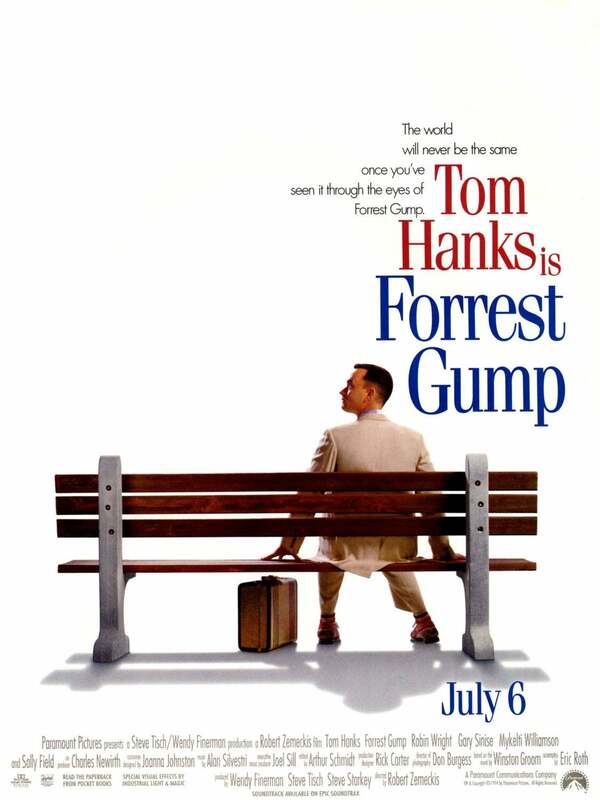 Robert Zemeckis' Forrest Gump won three Golden Globe Awards and six Academy Awards and grossed over $650 million worldwide in its first theatrical release only. The story depicts the life of a slow-witted but kind-hearted and athletically prodigious man from Alabama, who witnesses, and in some cases influences, some of the defining events of the '60s through the '80s. Forrest Gump (Hanks) joins the army for service in Vietnam, where he meets Lieutenant Dan (Gary Sinise) and Bubba (Mikelty Williamson); it might be for his near-sighted steadfastness or pure luck, but Forrest succeeds at everything, all the while thinking only about his “mama” (Sally Field) and beloved childhood friend Jenny (Robin Wright), back at home. People fell in love with this ineffable simpleton. At the 52nd Golden Globe Awards, held January 21, 1995, at the Beverly Hilton Hotel, Forrest Gump was voted best drama over Pulp Fiction, Legends of the Fall, Nell and Quiz Show. In the Best Actor – Drama category, Hanks prevailed over, among others, John Travolta (Pulp Fiction), who ironically was offered the role of Forrest Gump before Hanks but turned it down – Travolta later said he made a big mistake, and that was one of his career’s biggest regrets. For Hanks, it was the second Globe in a row in the drama section: the previous year he had won for Philadelphia (he'd won in the comedy section in 1989 with Big – and would win again as dramatic actor for Cast Away in 2000). Robin Wright was nominated Best Supporting Actress, but Diane Wiest won for Woody Allen's Bullets Over Broadway. Gary Sinise also was nominated for Best Supporting Actor, but Martin Landau won for Tim Burton's Ed Wood. Zemeckis won the Globe for Best Director.